Dr. Steven H. Swerdlow received his BA from Brandeis University, his MD from Harvard Medical School, his residency training in pathology at Beth Israel Hospital in Boston, and Fellowship training in Hematopathology at Vanderbilt University Medical Center and at St. BartholomewÃ¢â‚¬â„¢s Hospital in London. He is Professor of Pathology and Director of both the Division of Hematopathology and the Hematopathology Fellowship Program at the University of Pittsburgh School of Medicine. 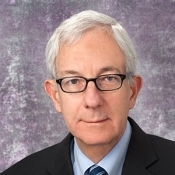 Dr. Swerdlow has published 105 original articles in his area of research, co-authored two medical texts: Pediatric Hematology and Biopsy Interpretation of Lymph Nodes and written numerous monographs, chapters and invited reviews in hematopathology. He is the past-President of the Society for Hematopathology, serves on the editorial board of two major pathology journals and is on the steering committee for the revised WHO Classification of Tumours of Hematopoietic and Lymphoid Tissues. Click here for additional info. Pongpruttipan, T., Sukpanichnant, S., Assanasen, T., Wannakrairot, P., Boonsakan, P., Kanoksil, W., Kayasut, K., Mitarnun, W., Khuhapinant, A., Bunworasate, U., Puavilai, T., Bedavanija, A., Garcia-Herrera, A., Campo, E., Cook, J., Choi, J., Swerdlow, S.H. Extranodal NK/T-cell Lymphomas, Nasal Type, includes cases of natural killer cell, αβ, γδ, and αβ/γδ T-cell Origin: a comprehensive clinicopathologic and phenotypic study. Am J Surg Pathol, 2012, 36(4) 481-499. Bieliauskas, S., Tubbs, R.R., Bacon, C., Eshoa, C., Foucar, K., Gibson, S., Kroft, S., Sohani, A., Swerdlow, S.H., Cook, J.R. Gamma Heavy Chain Disease: Defining the Spectrum of Associated Lumphoproliferative Disorders Through Analysis of 13 Cases. Am J Surg Pathol, 2012, 36(4)534-543. Aggarwal, N., Swerdlow, S.H., Kelly, L.M., Ogilvie, J.B., Sathanoori, M., Nikiforova, M.N., Nikiforov, Y.E. Thyroid carcinoma-associated genetic mutations also occur in thyroid lymphomas. Modern Pathology, 2012, 25, 1203-1211. Carvajal-Cuenca, A., Sua, L.F., Silva, N.M., Pittaluga, S., Royo, C., Song, J., Sargent, R.L., Espinet, B., Climent, F., Jacobs, S.A., Delabie, J., Naresh, K.N., Bagg, A., Brousset, P., Warnke, R.A., Serrano, S., Harris, N.L., Swerdlow, S.H., Jaffe, E.S., and Campo, E. In-situ Mantle Cell Lymphoma: Clinical Implications of an incidental finding with indolent clinical behavior. Haematologica, 2012, 97(2):270-278. Craig, F., Monaghan, S., Surti, U., Swerdlow, S.H. ZAP-70 and Bcl-2 Expression in B Lymphoblastic Leukemia Cells and Hematogones, Cytometry: Part B - Clinical Cytometry, 2012, Vol 82B, Issue 2, 85-92. Royo C, Navarro A, Clot G, Salaverria I, Giné E, Jares P, Colomer D, Wiestner A, Wilson WH, Vegliante MC, Fernandez V, Hartmann EM, Trim N, Erber WN, Swerdlow SH, Klapper W, Dyer MJ, Vargas-Pabón M, Ott G, Rosenwald A, Siebert R, López-Guillermo A, Campo E, Beà S. Non-nodal type of mantle cell lymphoma is a specific biological and clinical subgroup of the disease (letter to editor). Leukemia, 2012 26:1895-1898.